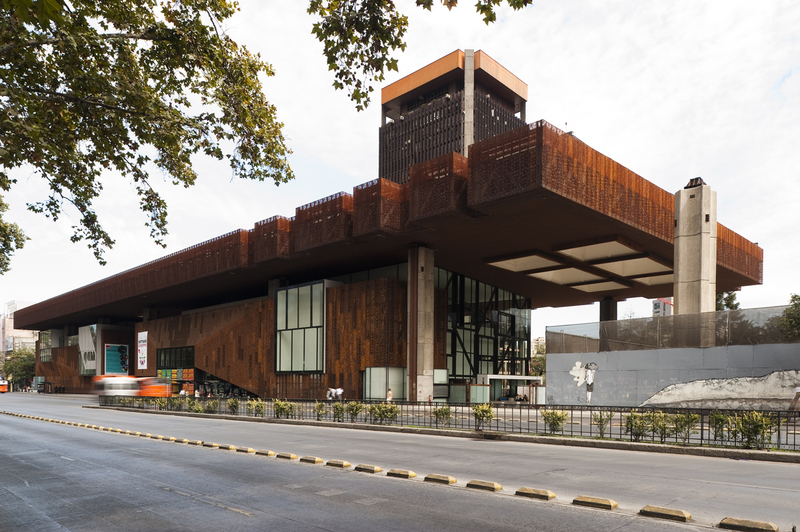 Carlos Alberto Cruz E., Carlos Alberto Cruz C., Daniel Ballacey, Jorge Larraín, Ricardo Labarca, architects. Av. Libertador Bernardo O'Higgins 1111, Santiago. 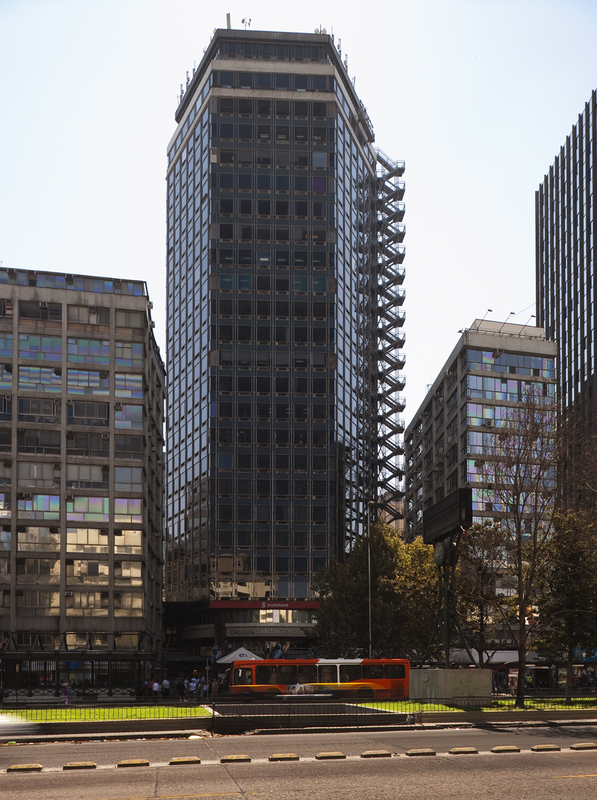 Jorge Aguirre, Rafael Saavedra, Guillermo Geisse, architects. Av. Libertador Bernardo O'Higgins 1112, Santiago. Costabal y Garafulic, Alejandro del Río, architects. Av. Libertador Bernardo O'Higgins 924, Santiago. Jaime Larraín V. et Osvaldo Larraín E., architects. Av. Libertador Bernardo O'Higgins 949, Santiago. 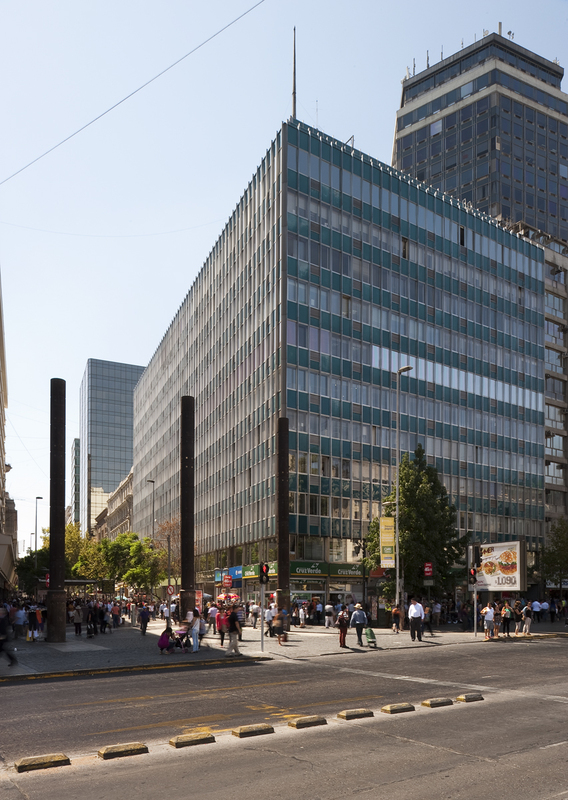 José Covacevic, Hugo Gaggero, Juan Echenique, José Medina, Sergio González Espinoza, arquitectos. 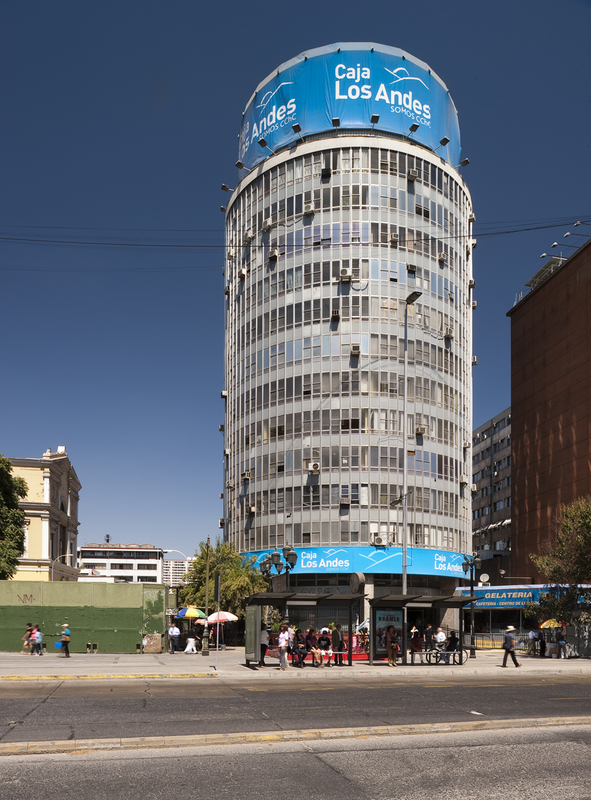 2009: Cristián Fernández y Lateral, arquitects. Av. 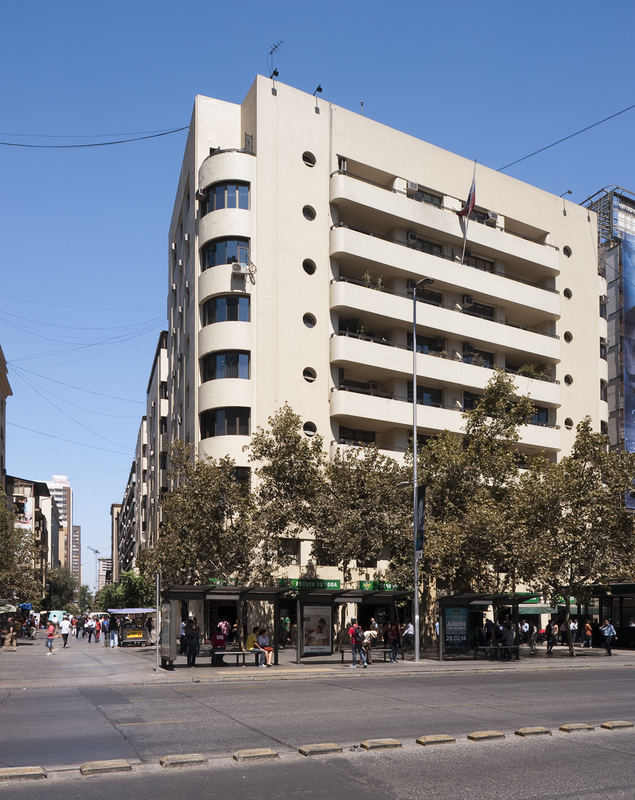 Libertador Bernardo O'Higgins 227, Santiago. Av. Vicuña Mackenna 39, Santiago. Av. Vicuña Mackenna 1348, Ñuñoa. 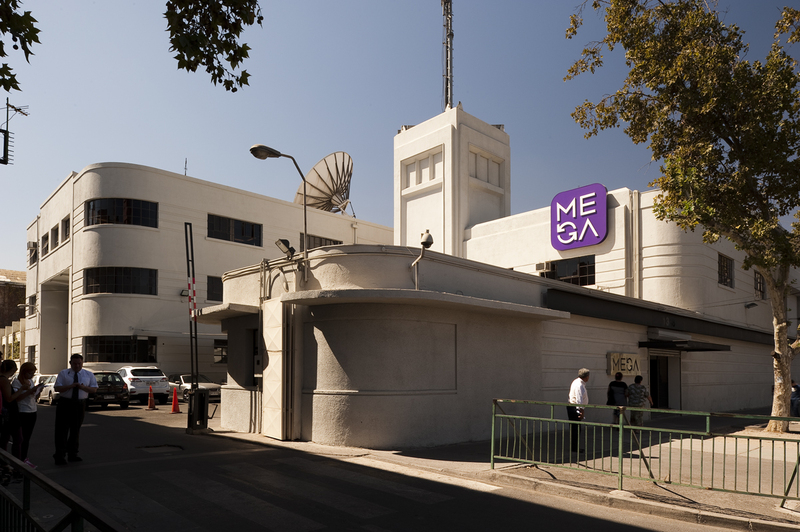 The complex that houses today the TV station MEGA was built in 1942 as the Cristalerías de Chile factory. 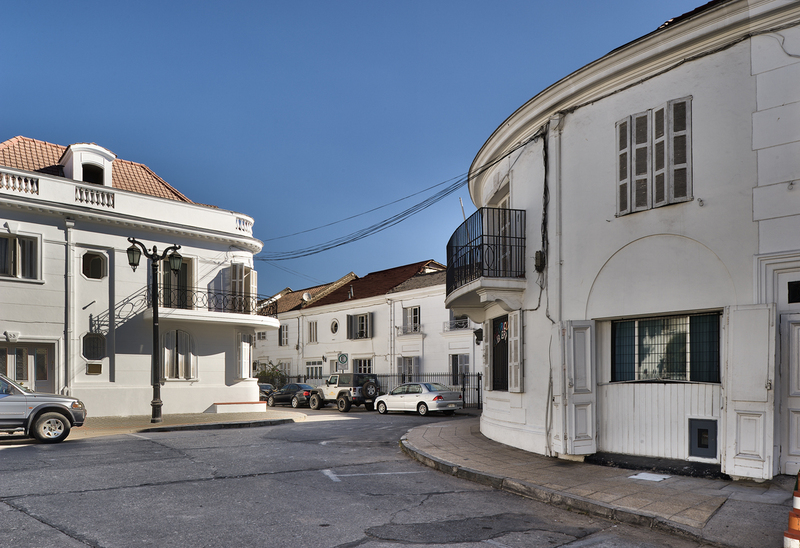 It was designed by one of its main engineers, Jorge Smith Miller, whose experience and knowledge of the production processes guided directly the lay-out of the buildings. 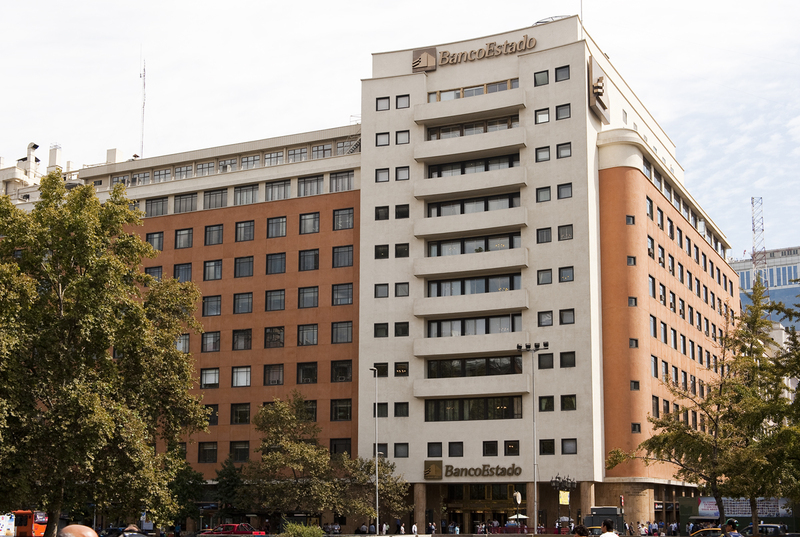 It took advantage of the location of the site, between the big Vicuña Mackenna Avenue and the railroad line where now runs the line 5 of the Metro. 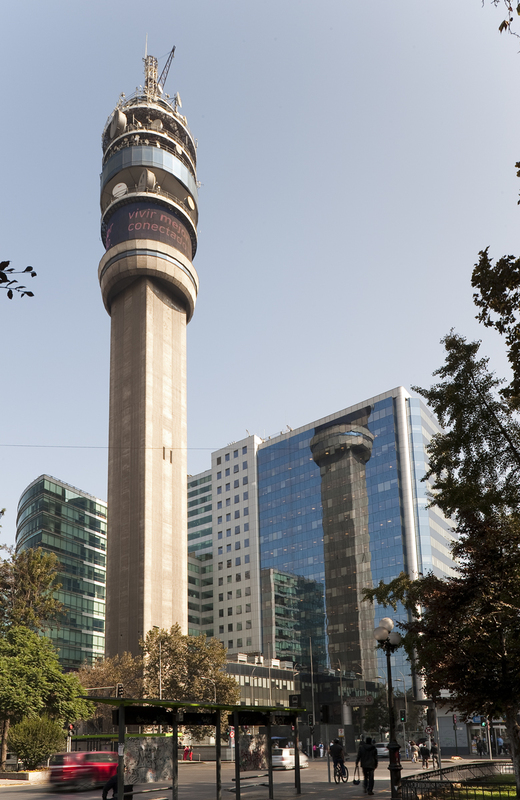 Following the aesthetics of its time, the main building is dominated by a tower and its forms follow the direction of the main access, with rounded corners and a streamlined entrance volume.